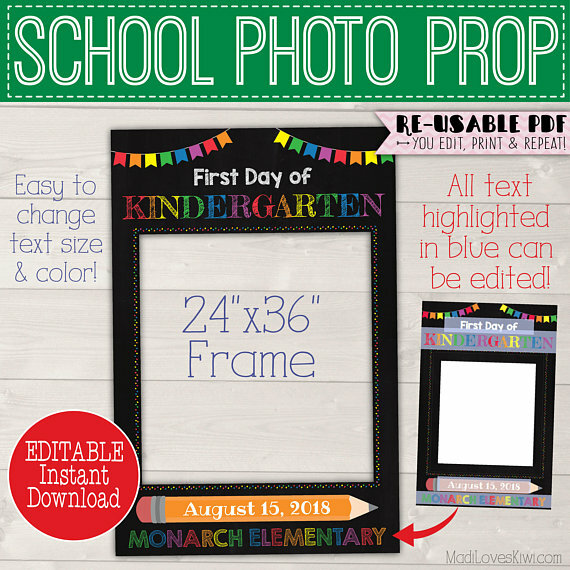 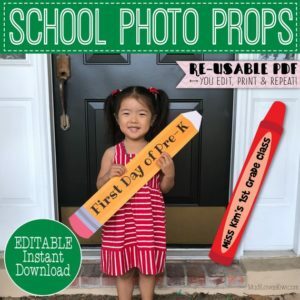 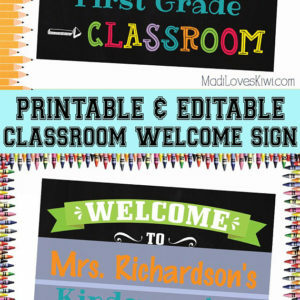 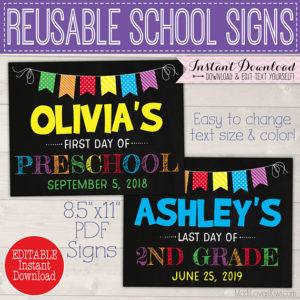 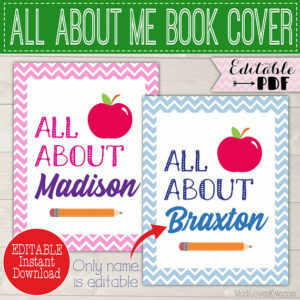 How fun will the first and last day of school be when your kids get to take pictures with this huge personalized photo prop frame?! 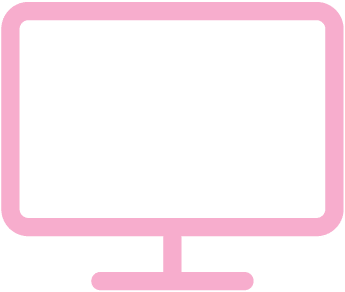 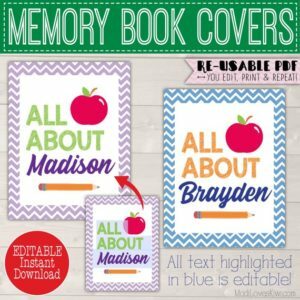 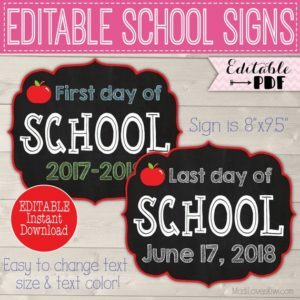 This frame features editable text so you can personalize it for your children and is generously sized at 24″x36″ so it’s the perfect size for up to three or four kids! 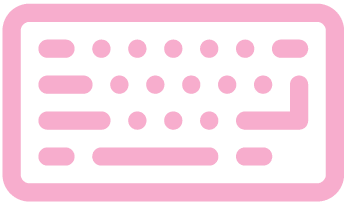 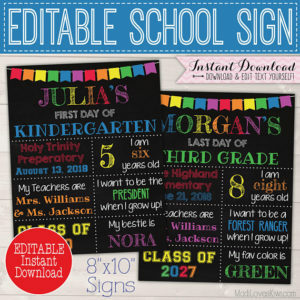 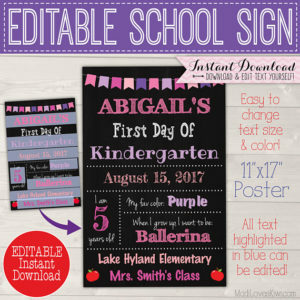 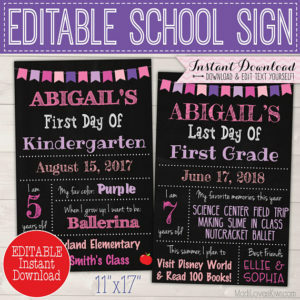 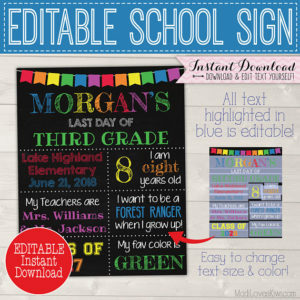 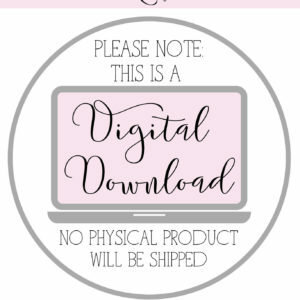 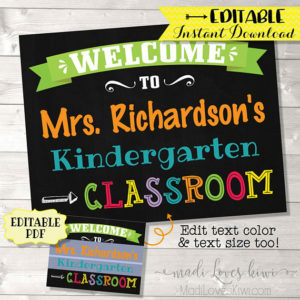 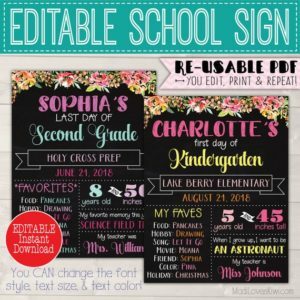 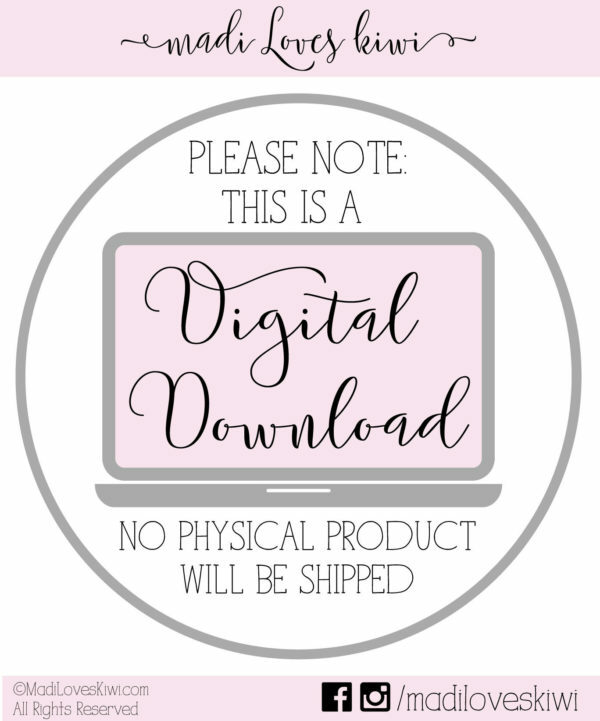 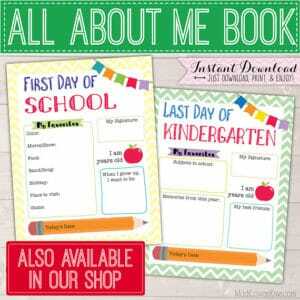 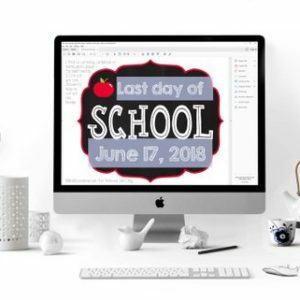 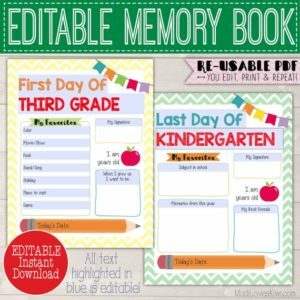 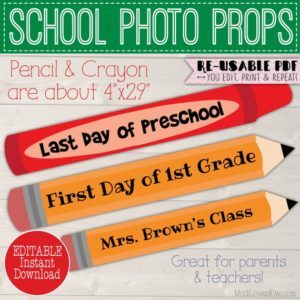 It’s great for parents and teachers to use on the first day or last day of school or get creative with what you put in the editable text fields and it can be used for graduation or birthdays too! 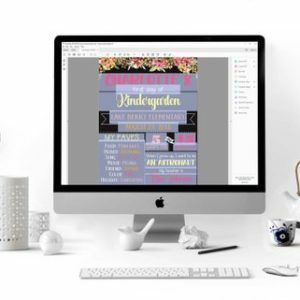 You CAN change the font size and color for editable text fields by highlighting the text and pressing CTRL+E(windows) or cmd+E(MAC).